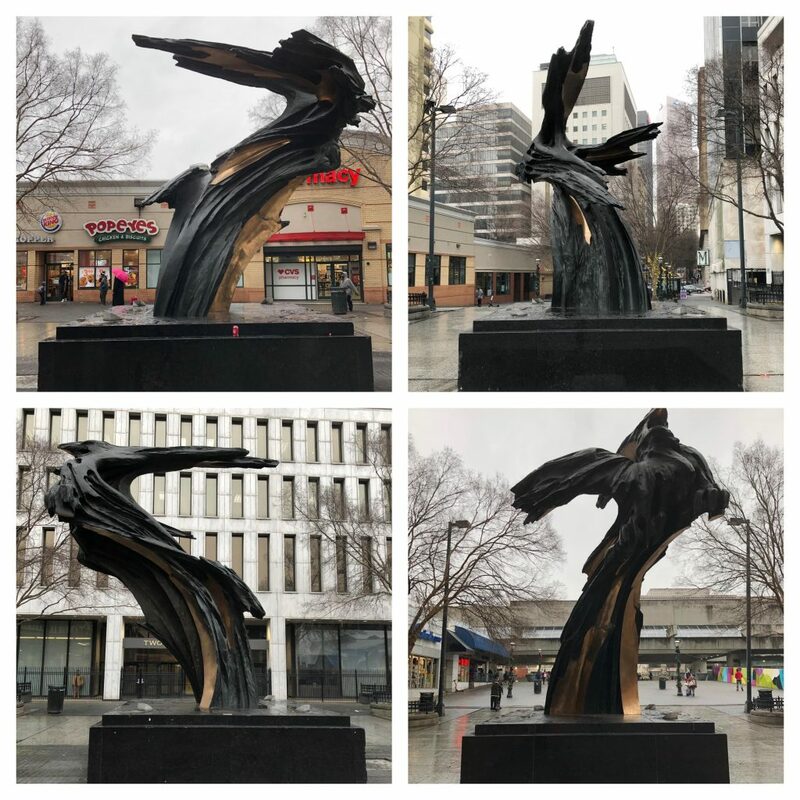 “Phoenix”, a sculpture by artist Francesco Somaini, recently underwent restoration under the direction of the OCA Public Art team. The 10-foot tall monument was a gift from the First National Bank of Atlanta after its merger with Wachovia (now Wells Fargo) in 1980. The abstract bronze sculpture depicts the mythological creature ascending into the sky with a maelstrom of fire and flames trailing behind it. The sculpture’s strong and disruptive curves are accentuated by the gold leaf foil lining the crevices of artwork. During the restoration, the base of the artwork was treated while minor maintenance and site enhancements were performed, included removing debris and residues from the plaza. To learn more about this artwork and other pieces in the City’s Public Art Collection, visit our ArtsHub. Special thanks to Terra Mare Conservation for their work in restoring the sculpture.